With the Samsung Galaxy SIII launching officially today worldwide, we're looking at what should be a busy period in the next few weeks in the smartphone business but the bigger question many of us are asking is what comes next. The answer to a lot of these questions will most likely be answered come this October as it'll be a manic month as far as smartphone announcements go. It can be summarized in the following quote from the movie, The Hunt for Red October. Helicopter Pilot: Fuel status says we turn back now. Jack Ryan: Wait a minute. Fuel status? You have a reserve, don't you? Helicopter Pilot: Yes, sir. I've got a ten minute reserve... but I'm not allowed to invade that except in time of war. Jack Ryan: Listen, mister, if you don't get me on board that goddamn submarine, that just might be what you'll have! You got me? Now you have ten more minutes' worth of fuel, we stay here ten more minutes! 1. The launch of BlackBerry OS 10. RIM is looking to make a comeback under their new CEO and a lot has been promised from the new operating system as RIM has built this from scratch using the QNX interface that those who've used a BlackBerry PlayBook are familiar with. There will be new hardware as well. What exactly RIM packs into this new device we don't know yet but many BlackBerry users will probably decide after this launch whether they want to continue to be a part of the BlackBerry eco-system or if they want to migrate to something else. Microsoft and Nokia both are desperate themselves as more than just bit players in the smartphone business on the Windows platform. Currently Windows Phone 7 devices account for between 2 to 3 percent of all smartphone sales depending on where you're getting data from but Microsoft has been talking up Windows 8 as the next big thing for PC's and tablets. The smartphone version of Windows 8 is also rumored for launch during October and if this happens, you can be sure that both Microsoft and Nokia will be making a lot of noise as well as announcing a slew of new devices. What we hope for is that Windows-based smartphones will have Arabic enabled on day one and the Windows Marketplace is live so that those who want to consider moving to this platform, have got most boxes ticked. Whether a dent is made depends largely on how both brands convince us that they've got an eco-system that is easy to migrate to from existing eco-systems. Sounds simple but it is one complicated task to achieve. The announcement that so many of us expected last year didn't happen. We certainly hope like most that Apple will announce their next generation Apple iPhone 5 by this October. In the mind of many consumers, he likes of Samsung and Nokia/Microsoft may appear to have overtaken Apple as far as smartphone innovation goes so there are a lot of expectations from Apple at their next launch. Many consumers may have forgiven Apple for the low-key improvements made in the iPhone 4S and New iPad, but they may not be as forgiving if for the third straight product launch Apple disappoints. The guess is something will come from both these companies that largely hold up the Android camp. HTC needs a huge device to make a comeback as they've largely ceded a lot of share in the last two years to Apple and Samsung. Samsung may rely on the Galaxy SIII to carry them forward but a successor to the Galaxy Note or a refresh of some sorts may help them maintain that sense of newness that is required with so many other announcements happening around the same time. Whatever it is, it looks like October will be a defining month in the smartphone industry. The fate of companies like Nokia and BlackBerry could be decided during this month. The dominance of Apple may be questioned and whether the meteoritic rise of Android continues will be determined by how it all plays out this October. 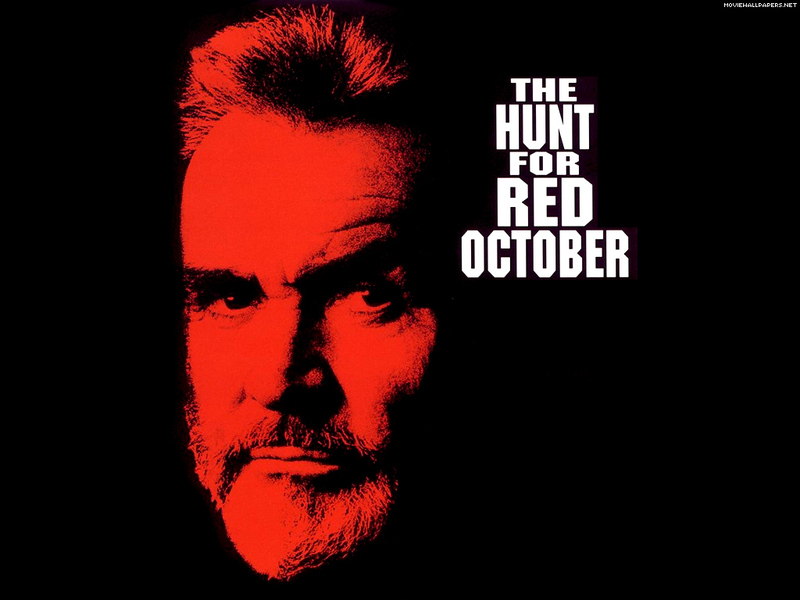 In the meantime, you've got time to watch the movie, The Hunt for Red October.